The Plaza Hotel on Plaza San Martín opened in 1909 and was considered to be one of the finest hotels in the world at the time, and the first of the grand hotels to open in Buenos Aires. 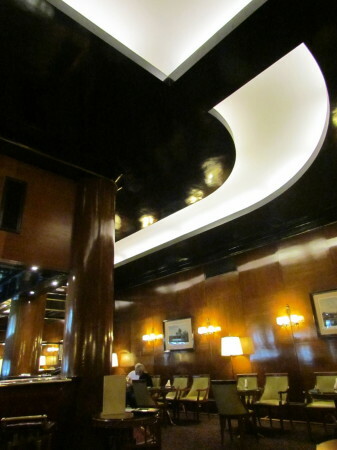 We had to ask for directions in the cramped lobby, as the bar is not easy to find but we eventually found it at the end of a corridor and down some stairs. 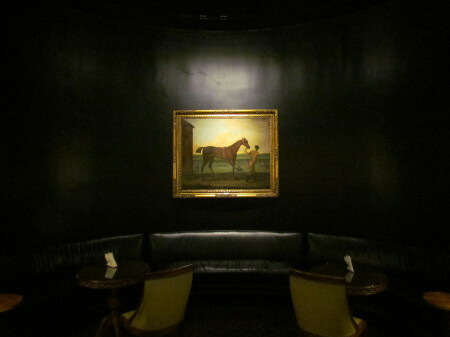 Being below street level there is no natural light in the bar, so it’s a shame that the bar is decorated in very dark and sombre colours. It’s well decorated and I could see myself happily spending a grey and rainy afternoon tucked away in a corner reading a book, but on a sunny February afternoon it’s not the place to linger. 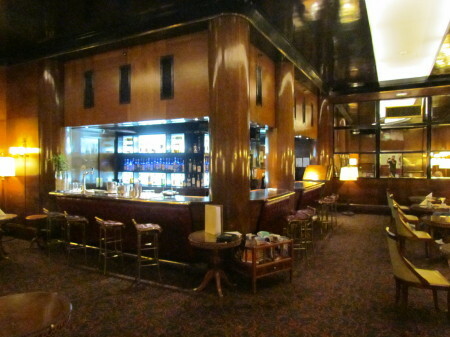 As a bar, it definitely has its attractions, and its location and history certainly qualify as notable but I’m just not convinced that the Plaza Bar is my kind of place.